Pairing We could easily devour a Throwback Burger while drinking this! Also, this would go well with a nicely curated cheese slate, especially one containing sharp cheddar or aged gouda. Many months ago, when we were planning what new beers to make for our upcoming Maple Madness IV event, we came across a very appealing barrel. It started its life as a bourbon barrel before then being used to age and flavor maple syrup. We snatched it up, and couldn’t wait to fill it with beer! The choice of which beer to use was pretty much unanimous across the board for our team – Hopstruck – our red IPA. We picked Hopstruck due to the absolute deliciousness of a Maple Bourbon Barrel-Aged Hopstruck that we released almost exactly one year ago today! While the Maple Bourbon Hopstruck of a year ago was simply aged in the barrel, this year we took the Hopstruck wort and fermented it in the barrel, giving us a very different beer – one that you can still tell is Hopstruck (for those super fans of the beer), but who’s hop edge is mellowed out with a maple caramel nose and sweet flavors of maple oakiness and hop candy, and with a slightly tannic and lemony hoppy finish. 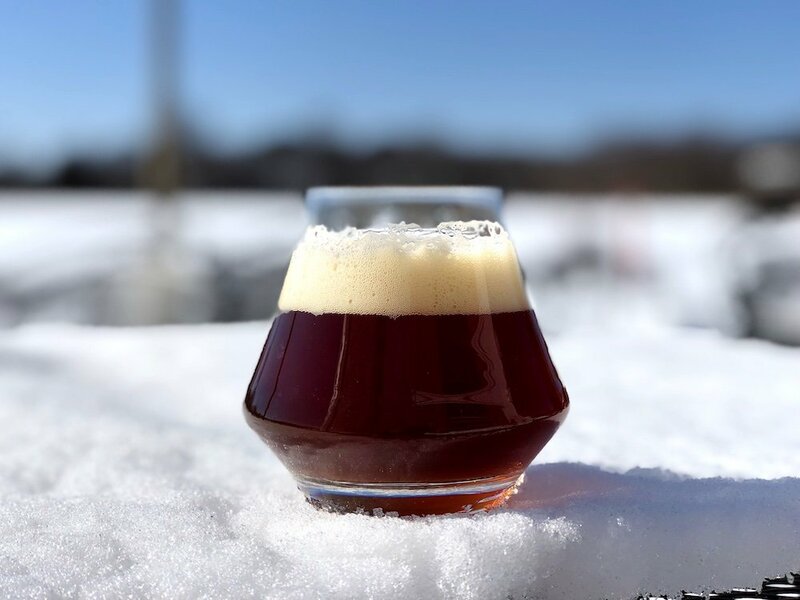 – Appearance: This beer pours a beautiful garnet red in color with an ivory beige head. – Aroma: Maple, dark caramel, and brown sugar with an underlying citrus happiness. As the beer warms up, the maple nose becomes more prominent. – Taste & Mouthfeel: At first sip you will get some flavors of caramel and maple, and the beer will nicely coat your tongue. It finishes with a hoppy bitterness and notes of oak from the barrel. Overall, it’s a nice balance of sweet & malty to hoppy & bitter. – Pairing: We could easily devour a Throwback Burger while drinking this! Also, this would go well with a nicely curated cheese slate, especially one containing sharp cheddar or aged gouda. – Serving glass: Tulip or brandy. – Stats – ABV 7.1% and 71 IBU. This beer is only available to take home in bottles for the 2019 Rare Breed Series subscribers, but we are going to have it available on draft here for our Maple Madness IV event on March 24th (10am-4pm)!